currently under construction at Harmony Hill Drive, Spring. Sales for available units range in price from $217,990 to $394,950. Solstice at Harmony unit sizes range from 1601 to 3753 square feet. 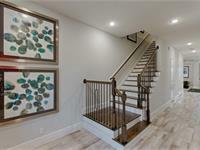 Solstice at Harmony has a total of 10 quick move-in homes currently for sale. 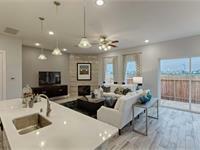 CastleRock Communities at Solstice of Harmony, the newest Townhome Community in Spring Texas. This is a Safe and Clean community to Relax, shop and play with conveyance to Hardy Toll Road, I45, the Newest Grand Parkway 99. This community will fit all life styles for the business professional, young families, to Retirees. The gated community is minutes from the Woodlands Mall, Market Street- the Woodlands and the Cynthia Wood Mitchell Pavilion. It is also in close proximity to several major hospital outpatient surgical centers and specialized health care Facilities. Your inquiry will be delivered to the Solstice at Harmony sales team, who will send you more information about this development.